You are a highly talented Software Developer Engineer able to build scalable and high performances applications and services that will handle millions of request coming every day? You are looking to impact hundreds of millions of people worldwide on every corner of the planet. Expedia, the largest Online Travel Platform, is seeking a highly talented Software Developer to join the Geography team. What’s geography have to do with Search? Very simply – everything. 100% of travel search today starts with a location. Sometimes those locations are well understood like ‘Montreal, Canada’ and sometimes they’re open to more interpretation like ‘someplace hot’. In every case we need to understand the customer meaning. You will help revolutionize the way people search for travel and you’re going to help invent new techniques the no one’s seen before. If you’re looking to break new ground on a phenomenal team with machine learning combined with your superior coding and apply this all to services that run tens of thousands of requests per second then we’d love to meet you. Expedia’s Geography Team is filled with professionals who love technology and thrive in ambiguous situations. We require a high level of initiative, enjoy working with each other and understand that close-knit teams do a much better job of bringing products to life. We highly value teamwork and place a premium on work-life balance. You'll be developing & testing highly scalable, high performance and high availability services. 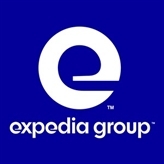 Expedia Group is one of world's largest travel platforms. We help knock down the barriers to travel, making it easier, more enjoyable, more attainable and more accessible. We are here to bring the world within reach for customers and partners around the globe. We use our platform and technology capabilities across an extensive portfolio of businesses and brands to orchestrate the movement of people and the delivery of travel experiences on a both local and global scale. Join our family of brands to change the face of travel!